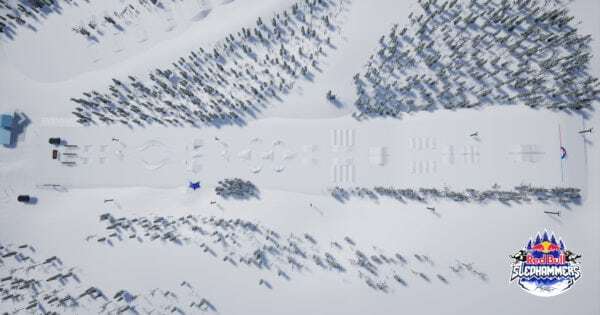 Red Bull Sledhammers unveils a unique dual mirror course for its first head-to-head hill climb competition for amateur snowmobilers this April 14th. 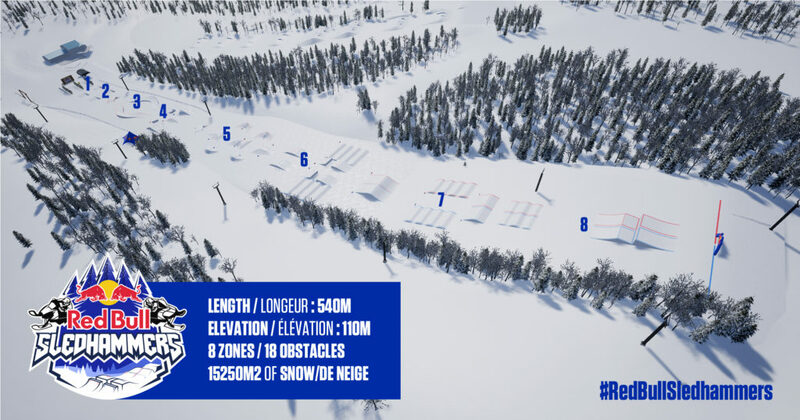 With a rich history in redefining traditional sports, Red Bull will put 65 racers to the ultimate test, through a rigorous 550m course at Ski La Reserve in Saint Donat, Quebec. Taking over the “Chute Libre” run on the north side of the Laurentian mountain, the course producers at Today’s Parks will require over 15,000 cubic meters of snow and approximately 120 hours to build. Preparing not only 1, but 2 identical courses, with a total of 18 features, a PistenBully 400 winch and Prinoth Bison X winch will be used transport and groom over 10 thousand tons of snow in preparation for the event. THE OBSTACLES: Expected to reach speeds of 120km/hour, competitors’ best bet for reaching the summit in the fastest time, is in a direct line. Should sledders opt for a ‘simpler’ route, the ascent will result in a longer time. Names of Red Bull Sledhammers course features in order of appearance from start to finish. ‘The Pits’ will force competitors to navigate their speed out of the gate, when they encounter a double set of dips running 6ft deep, where the rider will completely disappear to spectators. ‘The Snakes’ is an elevated curve running 150’ long with a narrow 3’ entrance widening out to 6 in the middle and back to 3ft as they exit. Riders will be cautious to not fall off the sides! ‘The Transfer Jump’ will be one of the most advanced elements of the course, riders will have to choose to take the fastest line (40′ jump) or succumb to the chicken pass taking a longer route around the jump, resulting in a slower finish. ‘The Banks’ is a traditional banked slalom section where riders will have to navigate a series of banked turns testing their technical and control abilities. ‘The Triple Set’ includes 3 back-to-back jumps increasing in length and difficulty. The first is 20′, second is 30′ and the third is a step up. Seasoned riders will plan these jumps out in advance. ‘Rhythm section’ is a classic motocross and snocross feature, this tricky section with a series of ‘whoops’ rollers where riders will have to tackle at the right rhythm while maintaining speed and control. ‘The Sender’ will provide an exhilarating end, where participants will take a vertical 8ft jump towards the finish line. FREE ADMISSION FOR SPECTATORS: The unique course and caliber of participants on site will lead to an incredible spectator event. Motorsports fans of all ages are invited to attend Red Bull Sledhammers at Ski La Reserve on Saturday April 14th starting at 10:00am EST. 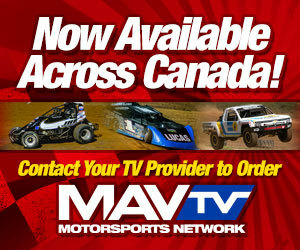 Event hosts Andy Mailley-Pressoir from TVA Sports and snocross commentator Mathieu Buteau will be on site to entertain the crowd and provide observers race rundown. 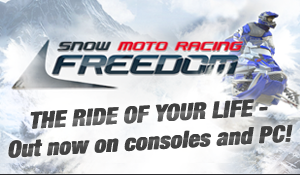 Fans on site can also expect family activities, prizes and a special preview of the latest 2019 products from Yamaha. I have a 2015 Yamaha viper xtx le early model with 1800 km on it & iam 76 yrs old so no abuse on the sled looks like new 141 ” track 2.25 lug like to trade in a winder blue & yellow colour with a 141 in track with 1.7″ lug if you can make a ball park price difference tks.